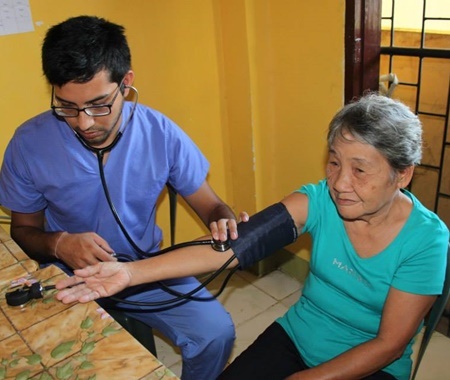 Volunteer in the Philippines with Volunteering Solutions that offers most affordable volunteer programs in and around Tacloban city; including Public Health Nutrition, Teaching Program, Childcare and Medical Volunteer Project at rural clinics. 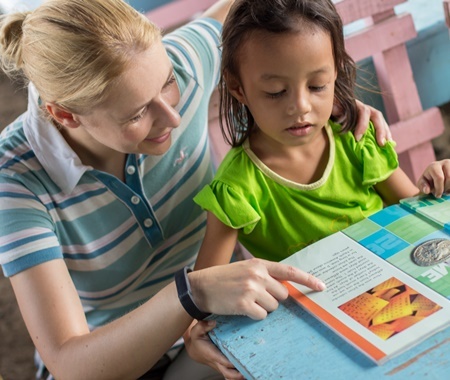 It would be a great opportunity for gap year travelers as well as high school/ college students to acquire useful international work experience. This will not only help them in propelling their career prospects but also provide some life-changing exposure. 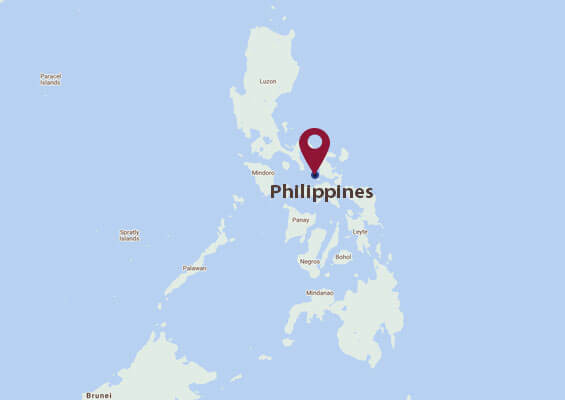 There are a lot of things to do in the Philippines, considering the fact that there are 7000 islands! Explore Tacloban City and other places in Leyte. 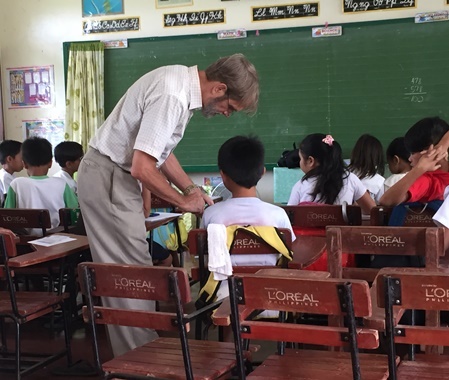 During the weekends, volunteers usually visit the local areas of interest such as San Juanico Bridge, the Santo Nino Shrine, and the MacArthur Landing Memorial Park. You can also travel to Manila, the capital city. 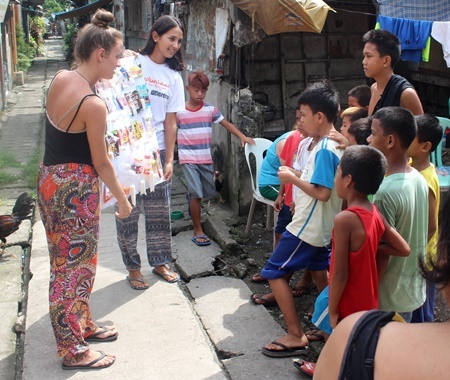 Some volunteers also opt to explore Cebu Island and experience its amazing nightlife. Discuss with the country coordinator before you plan anything. 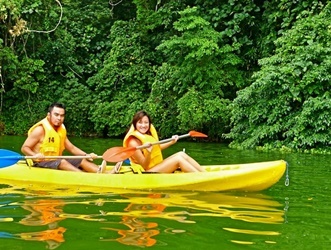 Take a day trip and go kayaking at Lake Danao - The guitar-shaped Lake Danao in the island of Leyte would be perfect for a day trip during the weekends. You can go for a refreshing swim in the tranquil water or rent a kayak and explore the rest of the area. Visit the Santo Nino Shrine and Heritage Museum - Tacloban City is filled with historic sites, and you'll be amazed while exploring the Santo Nino Shrine and Heritage Museum, built by former President Ferdinand Marcos. Take a trip to this beloved heritage site and see its wide collection of antiques and artworks not only from the Philippines, but also from Germany, Italy, and France. At the shrine, you will see the image of the Santo Nino, which is the Catholic’s title for the baby Jesus. Go for a trek to Masaba Falls - In case you are looking for some adrenaline rush and trekking is there on your bucket list, then you'll definitely enjoy going hiking up the Masaba Falls. The only way to reach the site is by river trekking, and it usually takes 30 to 60 minutes before you reach the site. Along the way, you will pass through the forest, giving you a chance to get closer to nature. When you arrive at the seven-tiered waterfalls, you can go for a swim or just sit on one of the rocks and admire the scenery. Head off to Cebu - How about planning a 2 days trip to another island? With its sugar-white beaches, azure waters and pristine coral gardens, the island of Cebu in the Philippines is the perfect tropical escape. You can simply chill on the beaches, and take a dip in the turquoise waters. It'll be the best way to unwind! 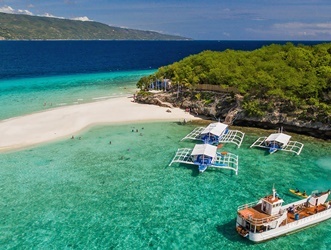 Go snorkeling at Kalanggaman - If you are a water baby, craving to take a dive and get closer to the underwater world, then you can head off the Kalanggaman beach, which is one of the best places for snorkeling in Leyte.